Sorry WAOW is no longer sailing/ not running trips. 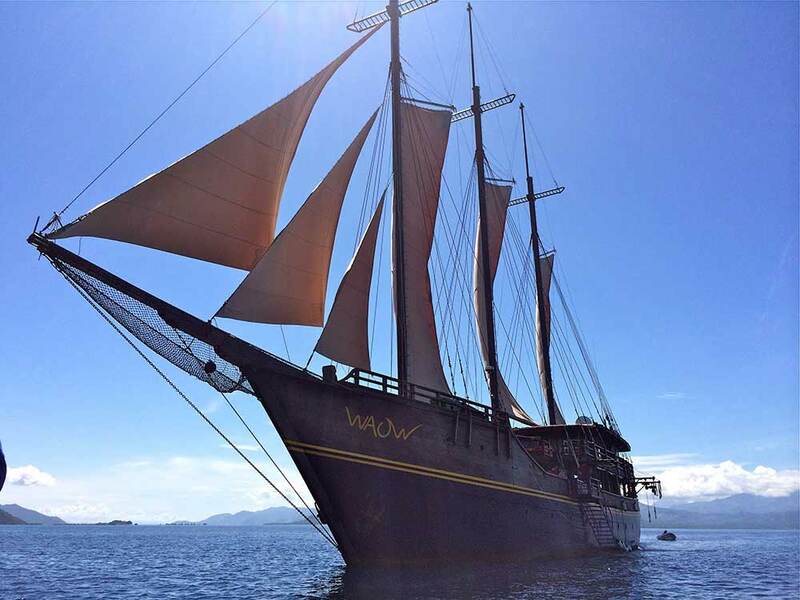 WAOW is a very large (60m L.A.O / 46m L.O.D) luxury diving yacht that sails around the Indonesian archipelago, offering scuba diving cruises at the perfect location throughout the year. Instead of focussing on one area, WAOW trips are designed to be wherever the diving is best in Indonesia for each month of the year. Trips range in length from one week aboard to nearly a fortnight. The size of WAOW would suggest that there are many guests on board, but the maximum capacity is just 20 on scheduled trips, or up to 24 on charters. 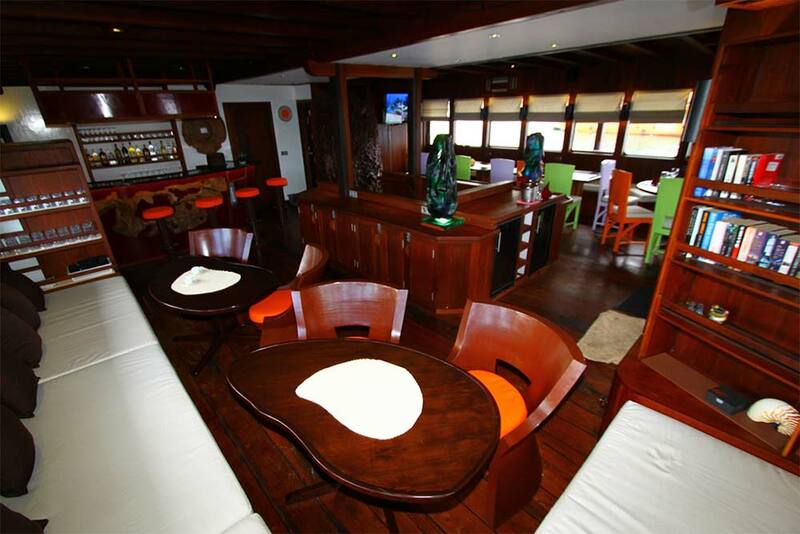 Not only are the cabins spacious, the communal areas are also much larger than the boat’s competitors. In addition to the 40m² dive platform, WAOW has a dedicated camera room, with charging stations and a computer. 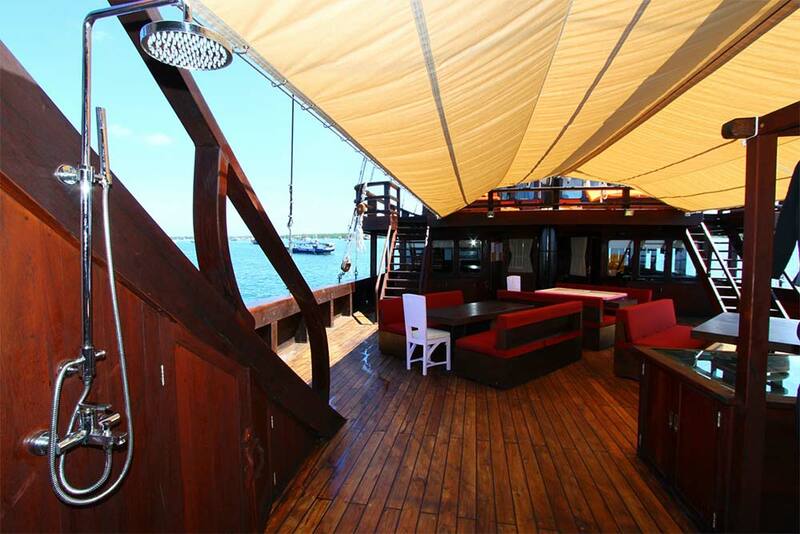 There are two large sundecks (50m² & 40m²), and a huge shaded outdoor dining/socializing area (120m²) and a smaller one at the rear of the boat. However, most guests choose to enjoy the sumptuous meals in the air-conditioned restaurant, which is complemented by the beautiful lounge. The delicious food on WAOW is something that the management, chef and whole crew take great pride in. A delicious mixture of local and western cuisine is on offer, and special dietary needs can be catered for. In fact, those who charter WAOW can even opt for a French chef! Snacks & fruits are available throughout the cruise, in addition to four hearty meals served each full day. It’s almost guaranteed that guests returning from a week or more aboard WAOW will not have lost any weight! The cabins on WAOW really need to be seen to be believed. 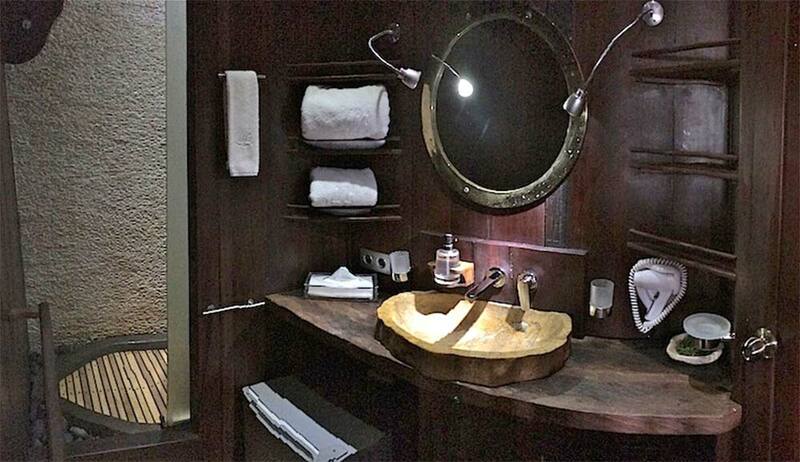 There are three levels of luxury, with the least expensive still considerably larger and more luxurious than the best cabin on many other boats. 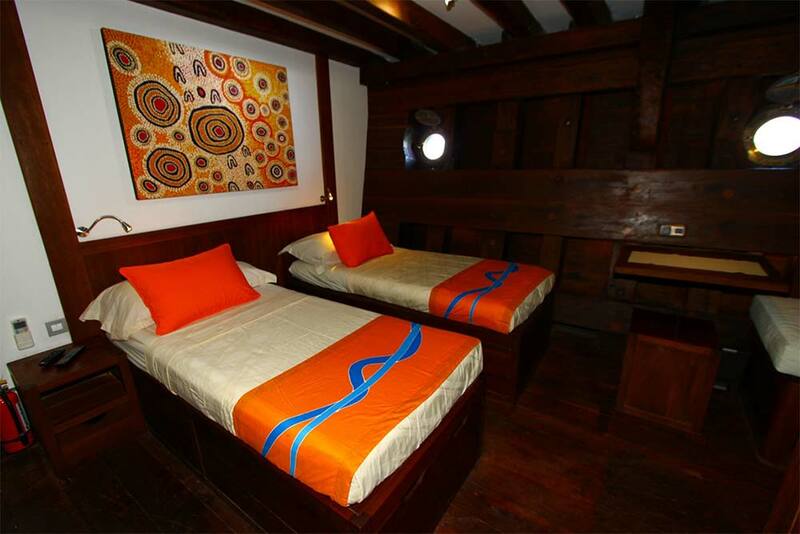 The cabins are designed for two guests sharing twin beds or a double. 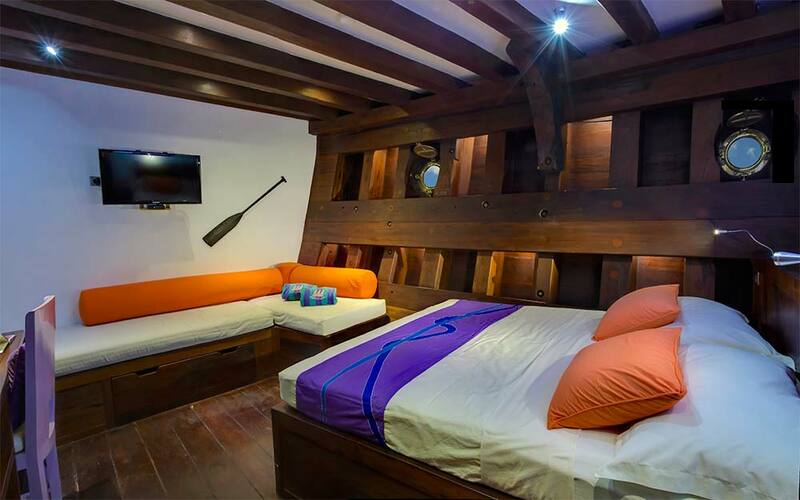 Some cabins have an extra single bed, too. 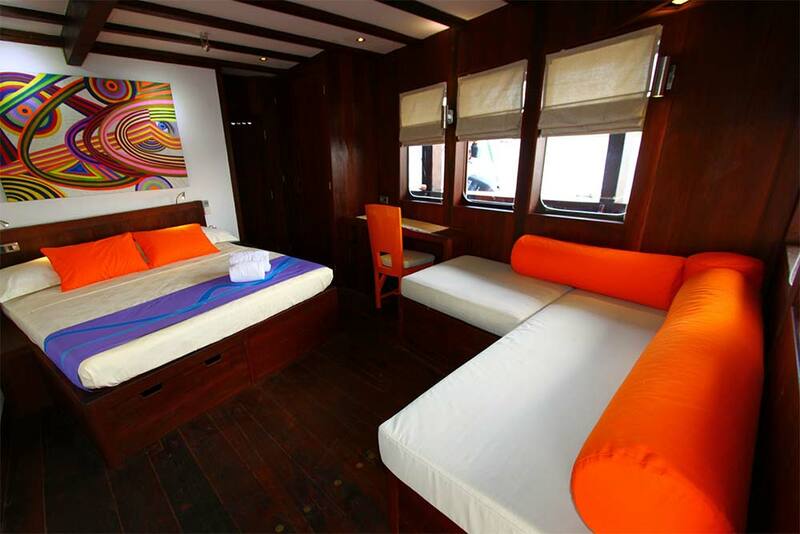 Each cabin is air conditioned & en suite, with hot & cold freshwater showers. 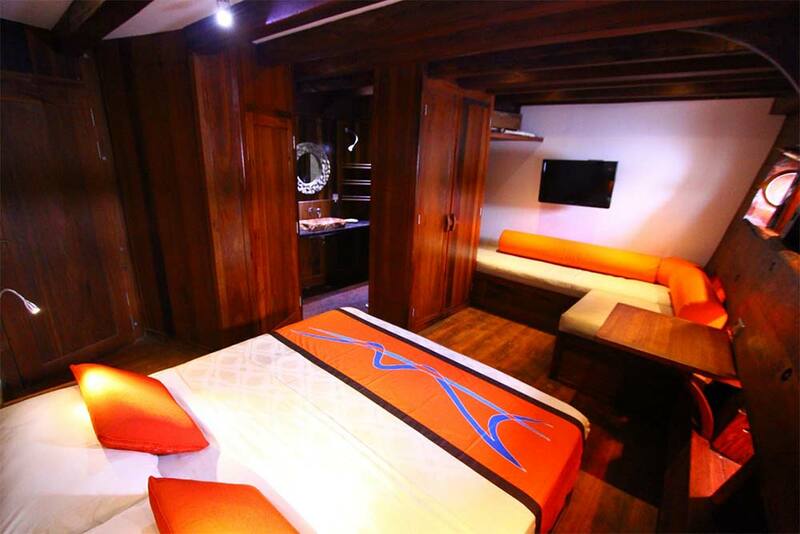 All cabins have a wall-mounted flat-screen tv, sofa, writing desk, lots of storage space, Wi-Fi, & LED lighting. 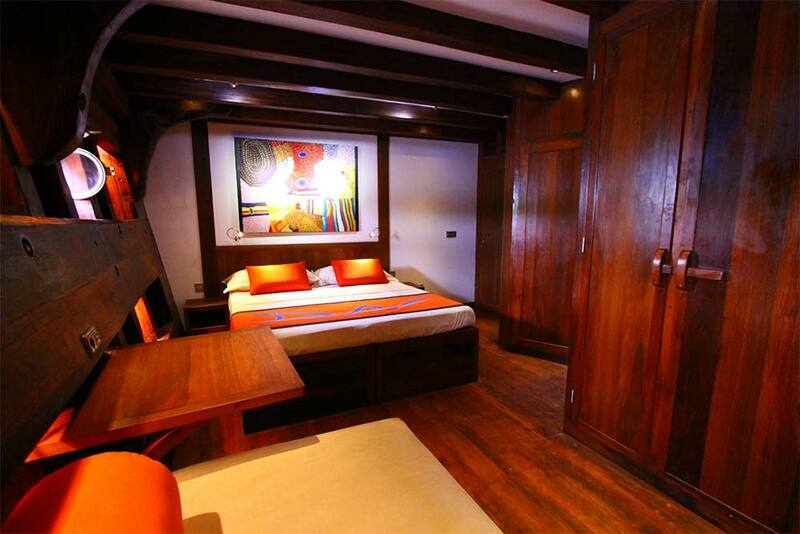 Their design is tastefully artistic, and blends character with convenience & modern amenities. 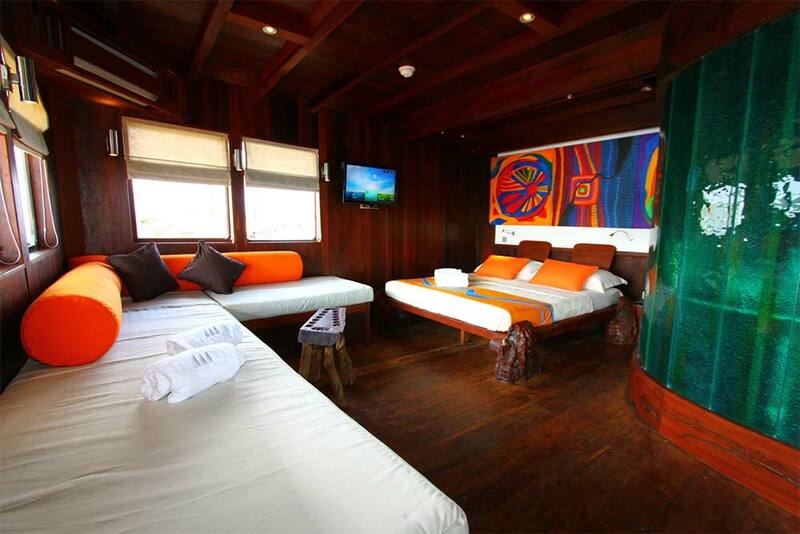 The deluxe cabins are 24m² in size and located on the lower deck. 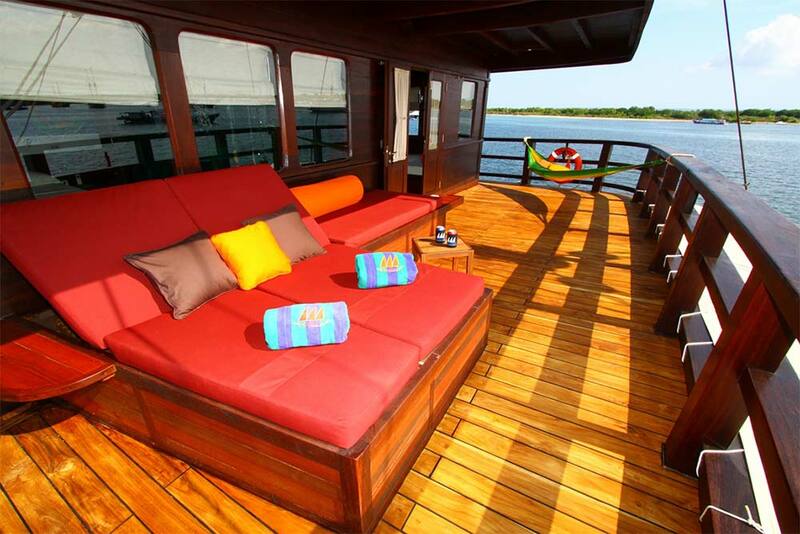 The ‘Superior cabins’ are on the main deck and have their own private outdoor lounge area. 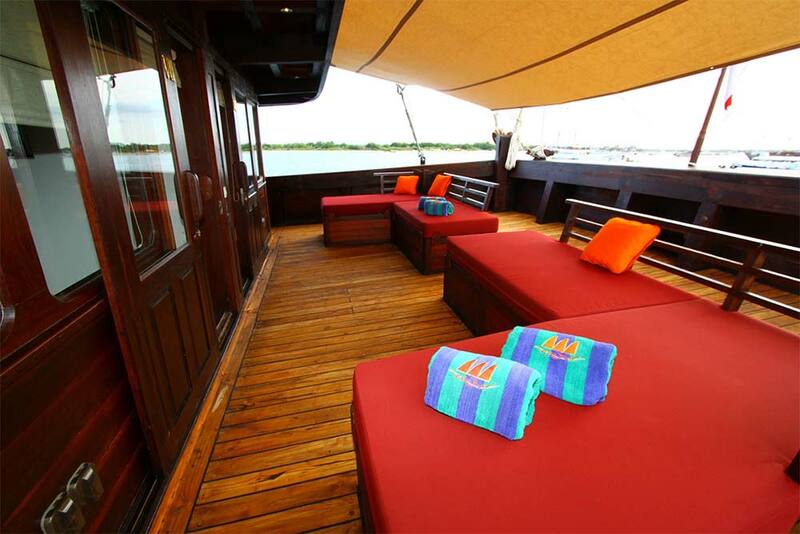 WAOW’s master cabin is on the upper deck and offers the ultimate in luxury, with a private sundeck. 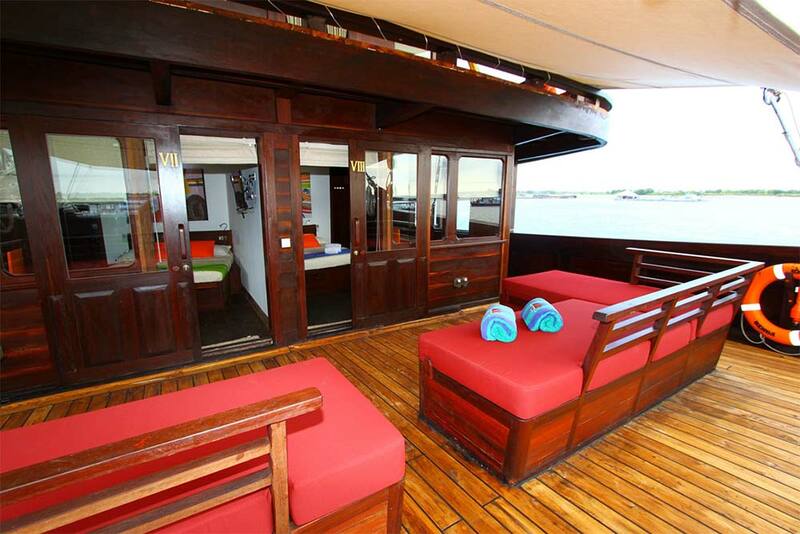 The cabin is 45m² and beautifully appointed. 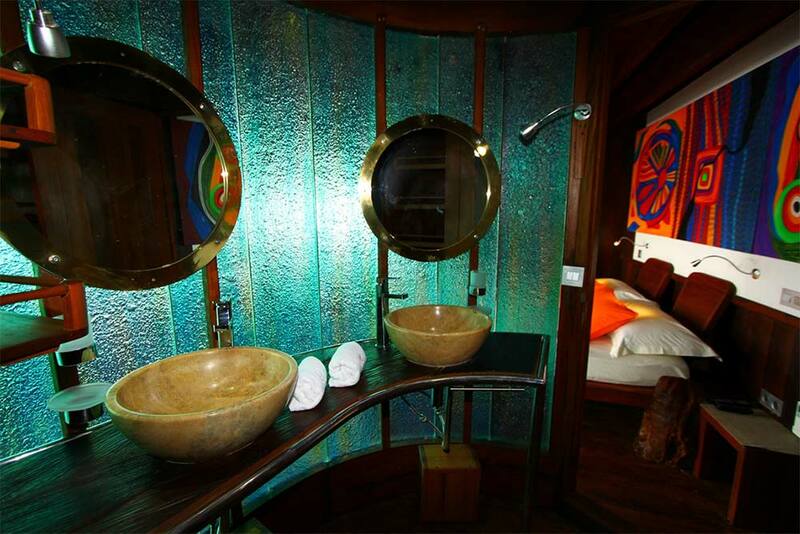 Such is the space and luxury on WAOW that guests could be forgiven for skipping the occasional dive, or even forgetting that being underwater is the main purpose of each trip! There is wifi on board, and a massage service. In addition to SUPs and canoes for guests’ use. Naturally, navigation, communication & safety facilities on WAOW are all modern & up to date, and crew members are well-trained and experienced for any unforeseen situation. Finally, there are 25 crew on board for no more than 20 guests on scheduled trips, ensuring the best service and safety at all times. 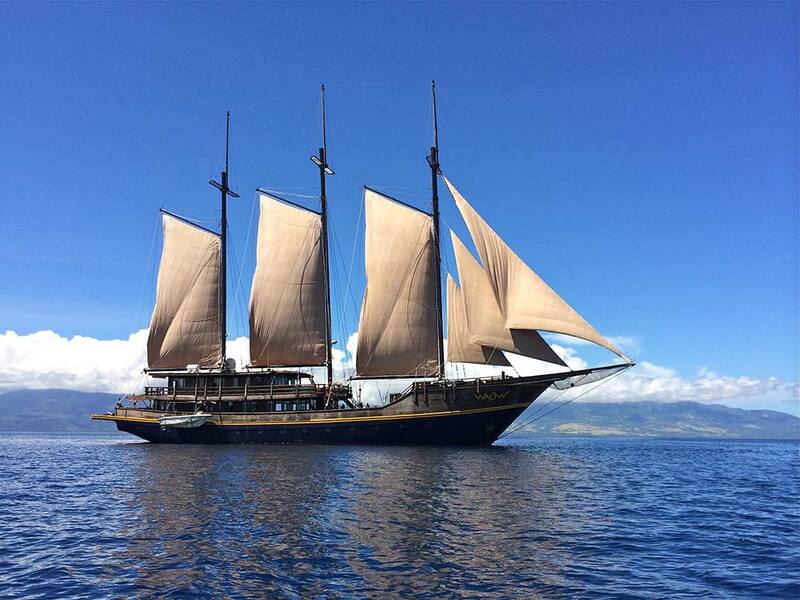 WAOW has a wider range of itineraries than any other liveaboard diving yacht in Indonesia. Because of this, we are unable to fully detail every trip on this page. We have published the more popular itineraries below. For any other itineraries, please contact us. 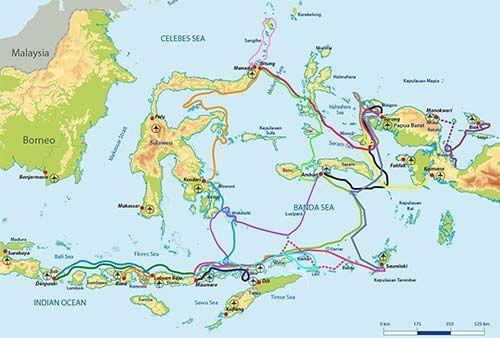 We have a full list and we are happy to share the itinerary/itineraries of your chosen WAOW cruise(s). For WAOW itineraries which you do not see on this page, please contact us immediately. We have the information for every WAOW cruise, but we feel that detailing every cruise can become confusing, and may waste your time downloading and scrolling the page. Navigation: High & Low Frequency Sonar, GPS, Computer Mapping, HF & VHF Radios, Radar, Satcomm, Weather Fax & Sat Phone, Etc. Courses are available on WAOW include the PADI AOW (Advanced Open Water) and Nitrox EAN32. Anyone wanting to take a course should contact us in advance, so that we can offer the best & most up-to-date information, and prepare the materials & staff. Free transfers at the beginning and end of each WAOW cruise are available from local hotels and the nearest airport to the port on the day of departure. The same applies for disembarkation transfers at the end of each trip. 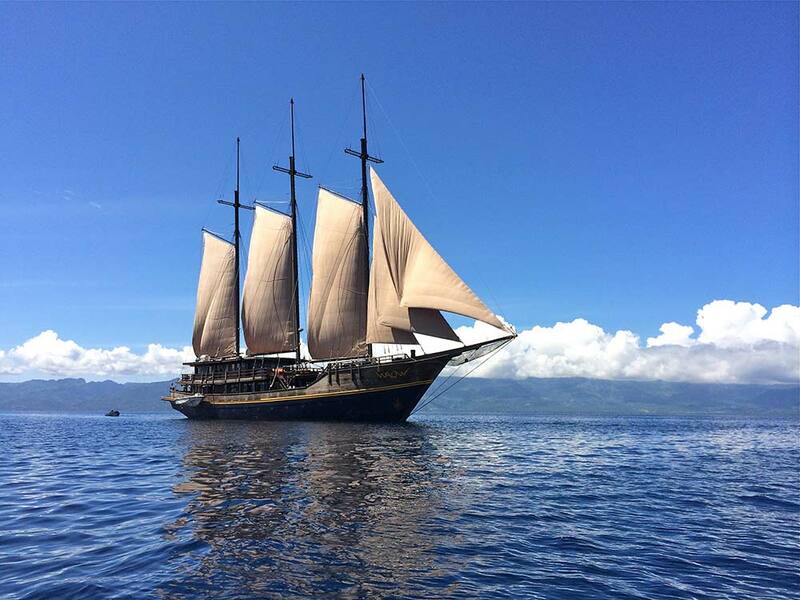 Domestic flights to the airport are not included, but we are happy to help with advice for and the booking of flights within Indonesia to perfectly coincide with the WAOW cruise. 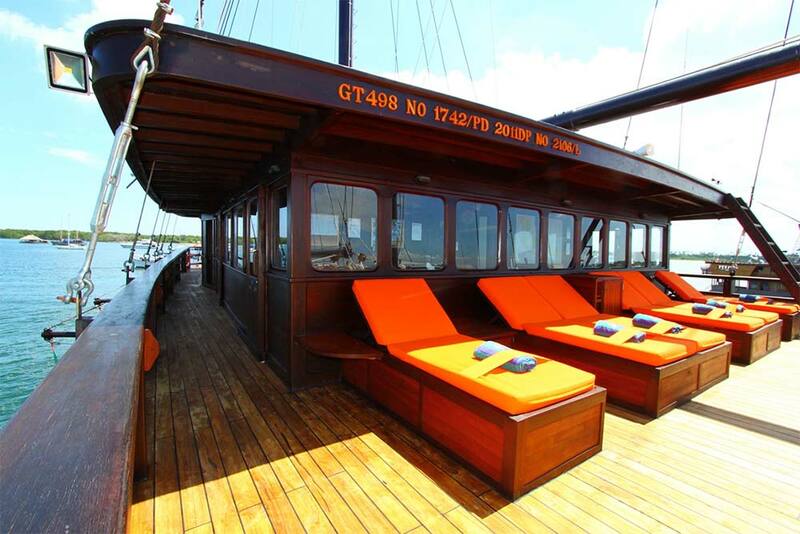 In fact, we advise guests to confirm the cruise before booking any flights. *Solo guests who would prefer to have a cabin to themselves can do so by paying a 'single supplement' of an additional 60% of the cruise rate. 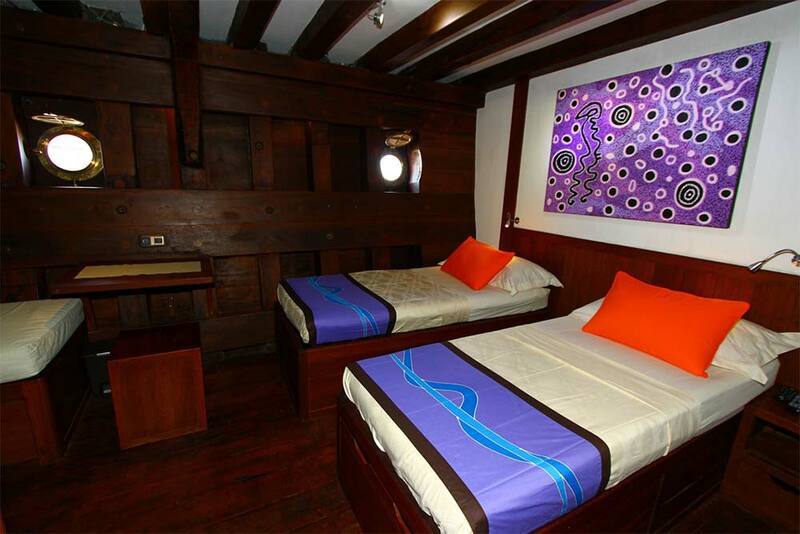 Children are very welcome on board WAOW, and enjoy discounted rates. **In fairness to the rest of the guests, the wi-fi is limited to emails etc. Streaming websites such as You Tube are not possible. Due to the wide range of cruises available on WAOW, and each having its own fees and surcharges, please contact us for a full and detailed breakdown of the costs for any WAOW cruises which you are interested in joining. 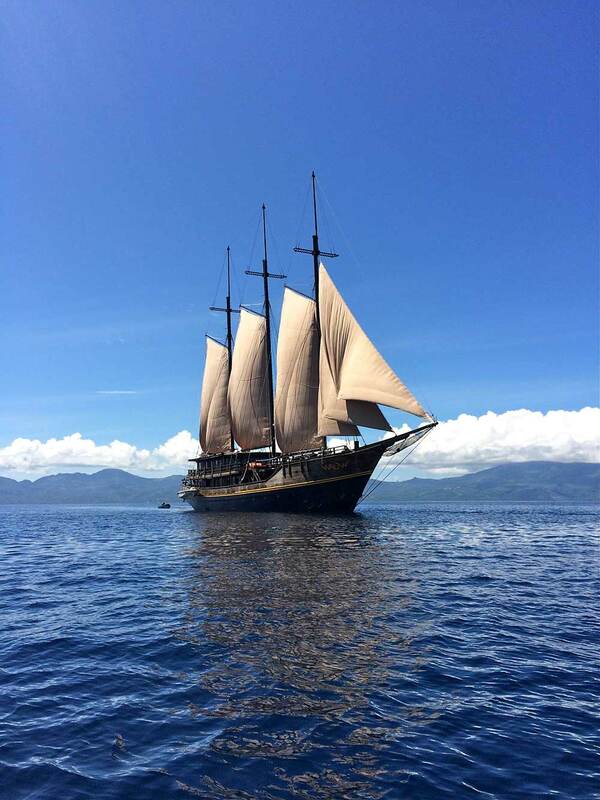 WAOW is such a popular choice for divers coming to Indonesia that scheduled trips are often fully booked months in advance, and usually have some individual bookings. 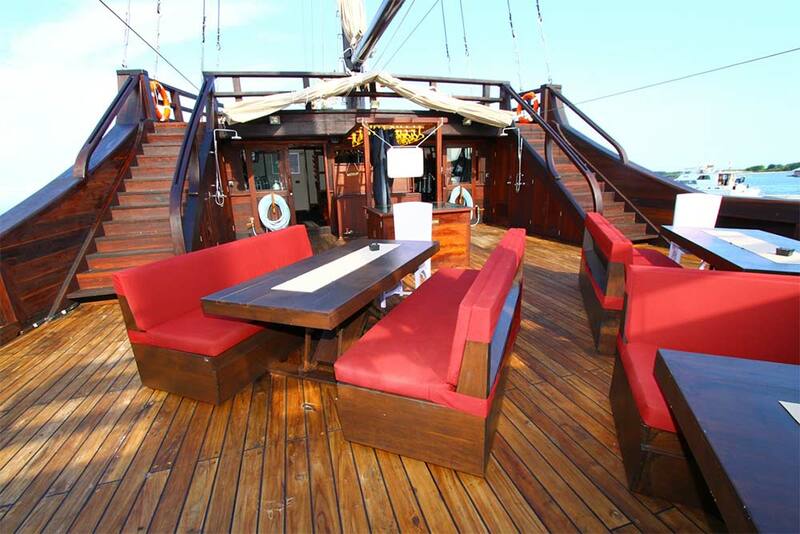 However, chartering this vessel is possible, and most charters take 20 guests, however the limit is 24. Please contact us for the best rates and most up-to-date information about availability.